Whether you are on budget or hoping for a luxurious getaway or maybe even you are looking for the perfect destination for your family vacation, Alexandria is a perfect choice for you. The Egyptian city is not only famous for its spectacular location on the Mediterranean Sea but also for its historical value that made it carry the name of the man who built it to rule the world thousands of years ago. A 3 hour drive from the capital Cairo or a couple of hours flight from Europe is separating you from this unique city. But first when should you visit? 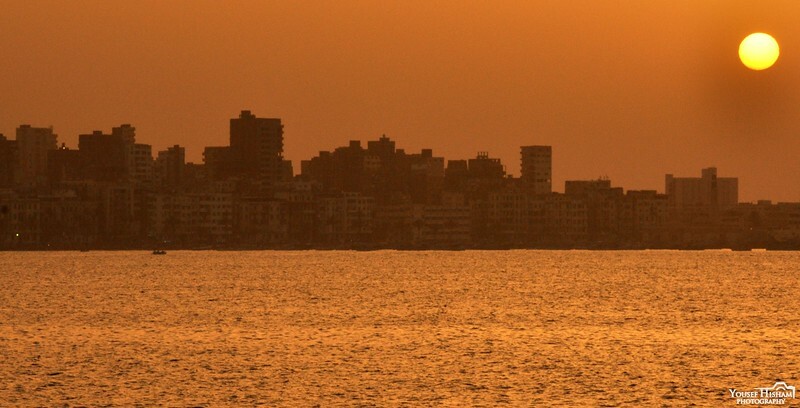 Alexandria is a four season destination, in the winter you’ll enjoy the breezy mornings and cold nights and you will find a lot of rain if you’re a winter lover. While the summer makes the perfect weather, I personally don’t prefer it as the crowds would be very disturbing. So that makes both the autumn and the spring the optimal time spots for visiting, you won’t only avoid the summer crowds but you’ll also enjoy the perfect mixture between the breezy summer and the cold winter. Well let me give you a small briefing of the multiple factors that makes Alex stands different. First of all, its rich history; not only is Alexandria the finding of ‘Alexander the Great’ but also was one of the leading beacons of Christianity and had one of the biggest Cathedrals at some time. In near history Alexandria was considered a metropolitan capital of the Mediterranean and was home to many Italian and Greek families which gave it a wide cultural diversity. So here’s what you get: a Middle Eastern atmosphere accompanied by a spectacular location on the Mediterranean sea, all reinforced by its cultural and historical background. So the Sea is the main character in our story, it’s the thing you will find most delightful in this city. It’s gives you an amazing scenery, a wonderful breeze you could also enjoy a swim or a boat ride if the weather is good. A 19km coastline -or El Corniche- as the locals call it- gave the city its beauty, it starts east from ‘El Montazah Palace’ once a summer getaway for the King which you should give a visit to get a taste of royalty and enjoy its spacious gardens, and it ends west at the ‘Qaitbay Castle’ a huge fortress once built to protect the city against invaders. For sure you there is no need to stay away from the coast except for a few streets south if you need to explore its narrow streets. ‘El Corniche’ or the coast holds numerous hotels ranging from luxurious five star towers to small two star inns. So either you are aiming to pay high or low for sure you will find yourself a perfect spot that’ll match your needs. What to do in Alex? If you are not a beach person, don’t think you will feel bored, because there are a lot of other things you can do. To begin with, you should give a visit to the ‘Bibliotheca Alexandrina’ a huge library built in 2002 with a unique design to reincarnate the ancient library that used to sit in the same place and lead the world into many scientific breakthroughs. And even if you are not a bookworm you will be amazed by its wonderful architecture. As I previously mentioned, you should give a visit to the ‘Montazah Palace’, have a picnic or take a tour in the royal quarters. Your third stop is the Qaitbay castle, you could have a walk inside it, rent a small boat in the sea or just stay around and watch the scenery from over there. Once you finished your day you could have a horsecart -or hantoor- to take you back to the hotel, or maybe even reach Stanley bridge, and enjoy a picturesque panorama of the sea from over there. If you are tired from roaming around, you could just relax on any cafe by the shore and that’s always the best thing about Alexandria. Well that’s my favorite part, you can’t come to Egypt and don’t try every type of food they got to offer and since Egyptians have got their outstanding way to make such a huge variety of yummy recipes from your everyday ingredients, I’ve made the eating part a little bit detailed. Let’s start by the breakfast, well forget about your pancakes and muffins because we’ve got a lot to offer you in the mornings. Egyptians has their own way of cooking beans and they call it Fool and they have it served in a lot of different ways so you’ll have a hard choice. My restaurant of choice is “Mohamed Ahmed” in Mahtet el Raml, and don’t forget to try their falafel, omelets and salads as well. Don’t worry if you’re not a morning person because you can still have that same food for dinner. Most probably after you get out of the beach or finish your tour you will find yourself hungry, so don’t treat yourself with crappy fast-food restaurants, but take a cab and ask them to take you to Balbaa -Alexandria’s most popular restaurant- you will find yourself in a big multiple story building with many waiters moving around like bees, one of them will get you seated and show you their menu. 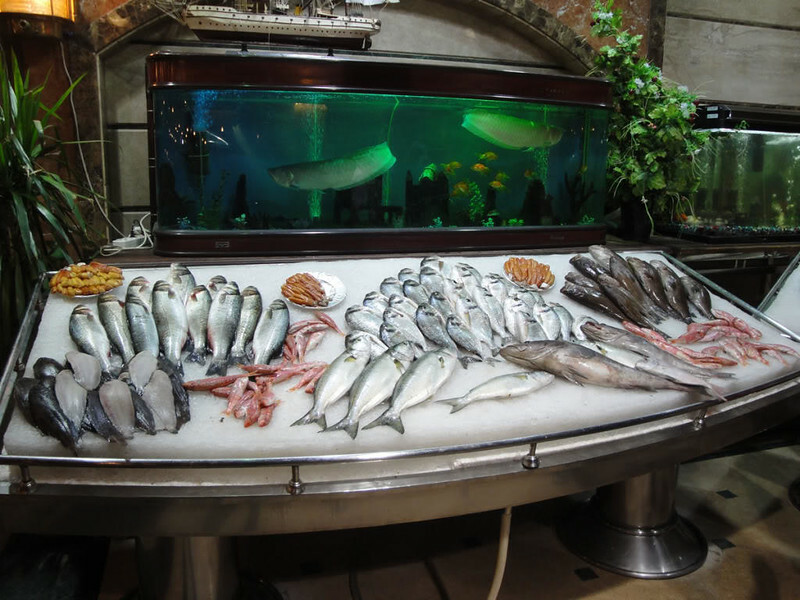 I am sorry you won’t be able to order everything on the menu, because you will want to try everything they offer starting from the oriental grilled Kebab to the seafood section. I recommend you to stick to their oriental dishes and enjoy their salad varieties. If you’re willing to eat seafood and you should do so one day, you should go to Fish Market. A wonderful spot with a spectacular view on the sea, offering you the finest seafood fresh from the sea to your plate. Believe me when I tell you that Egyptians have their different way to cook fish and I have never seen it anywhere else and it’s perfect. You should also try their Shrimps and Calamari either fried or grilled, both are breathtaking, and remember they love to serve you different salad dishes for appetizer and you will love it too. Whether you chose the expensive hotel or the cheap inn, you must try our street food, because we are good at it and you’ll love it. But don’t try it anywhere except if you want to have diarrhea for the rest of your vacation. There are some particular places where you can safely eat our famous sandwiches. One of them is ‘El Falah’ in Mahtet el raml, which has only one thing on their menu and they are very good at it: its Kebda or liver, Alexandrians have their special way in doing it that will leave you speechless. If Kebda is not your thing, you could go to ‘Arabi’ next to Mosque of Abu al-Abbas al-Mursi, where you could try oriental sausage, Shawerma or even kebda. You don’t think that street is your thing and you still want your five-star restaurant, I’ve got it covered for you. You should visit ‘Montaza palace’ one more time but first you should reserve a table at the Salamlek main dining room, just where the King Farook used to have his meals. But if you want a view with your meal you should choose San Giovanni restaurant by Stanley Bridge, where you could have a well prepared meal while you enjoy the best scenery you could get, all with a pianist in the background. You should always keep a place for desert, because Alexandria has one of the best ice cream parlors and they call it Gelati, I give you their two best options ‘Azza’ and ‘El Se’eedi’ . They like to keep it simple so you won’t find lots of flavors, but you can mix your scoop with some rice pudding or honey to make it wow. If you wonder what the best way to get around is, it’s definitely Taxis, you will spot some black and yellow bees on wheels you should wave for one of them and tell them your destination. They are very cheap, but you should decide a fare first to avoid paying high fares. travelerincoats.com. Follow him on Instagram, Facebook, and Twitter.